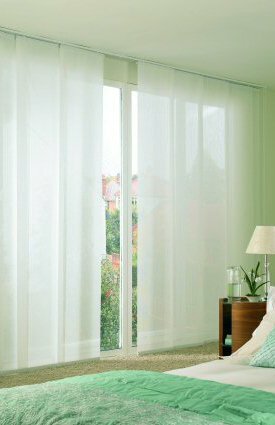 Panel Blinds are ideal for larger windows, patio doors and bi-fold doors and make innovative and versatile room dividers. 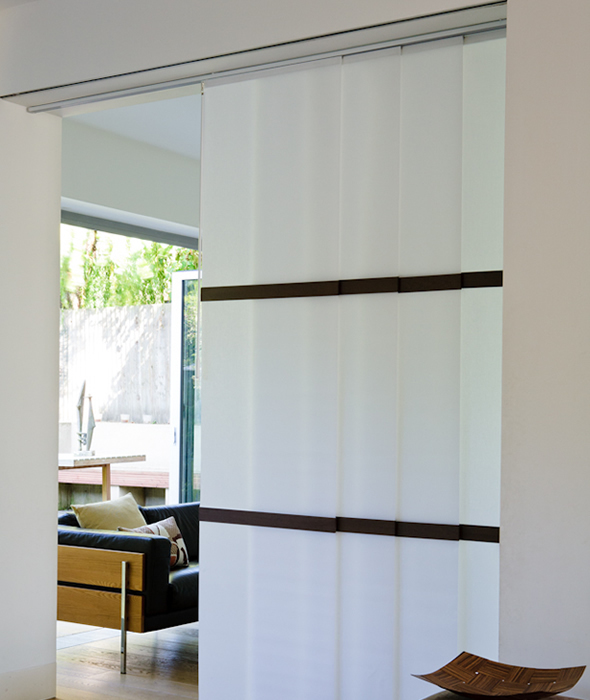 The panelling effect that the panel blinds create means these blinds can easily slide to one side so you have complete control over the amount of light they let in. 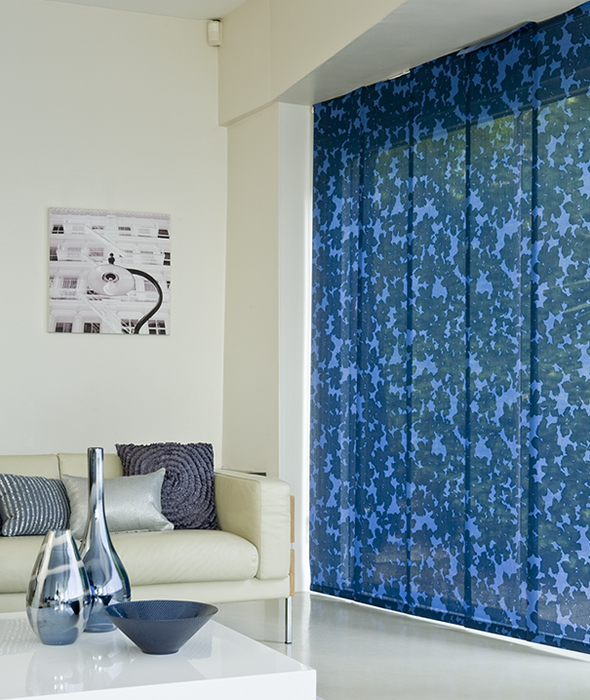 A modern twist on regular window coverings, the panel blinds are the ideal alternative to curtains. 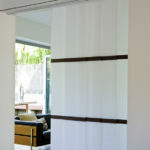 The unique Panel blind systems will give any room that contemporary feel. We provide a great choice of fabrics and colours.